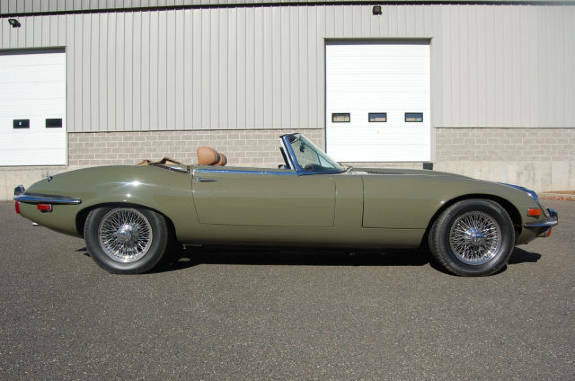 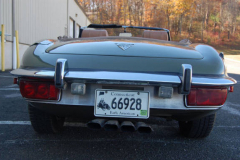 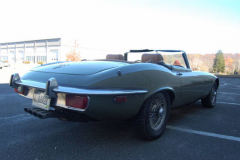 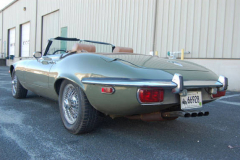 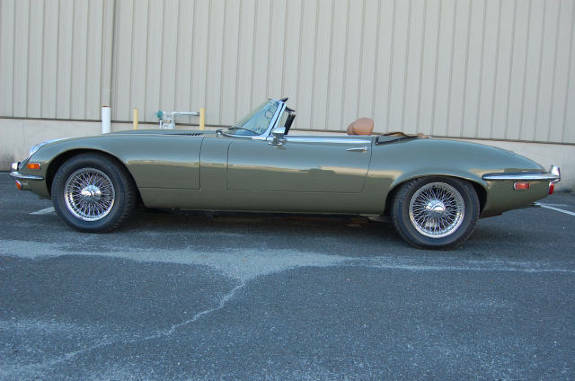 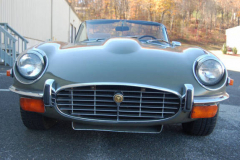 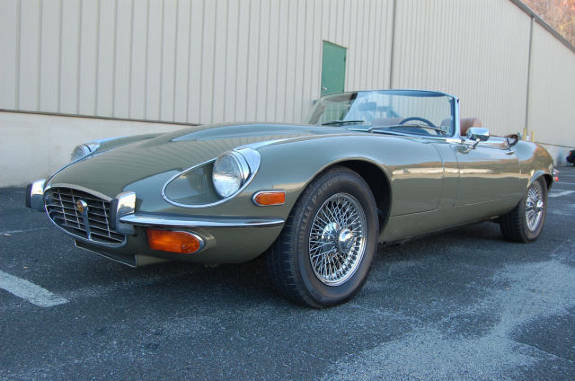 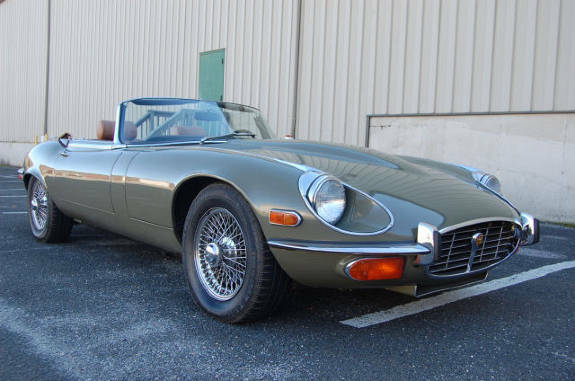 1973 Jaguar XKE Series 3 Roadster Green with a tan interior. Very low miles. 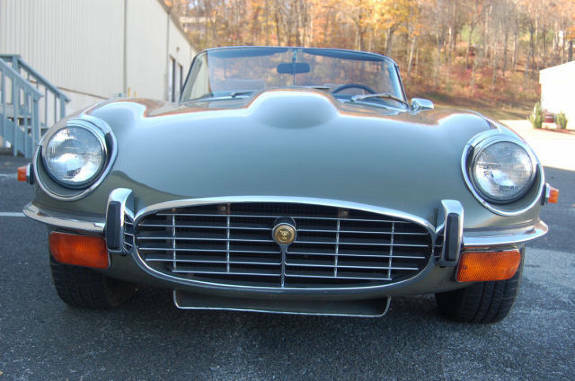 Older restoration that shows very nicely. Photos of the car in restoration are included in this presentation.